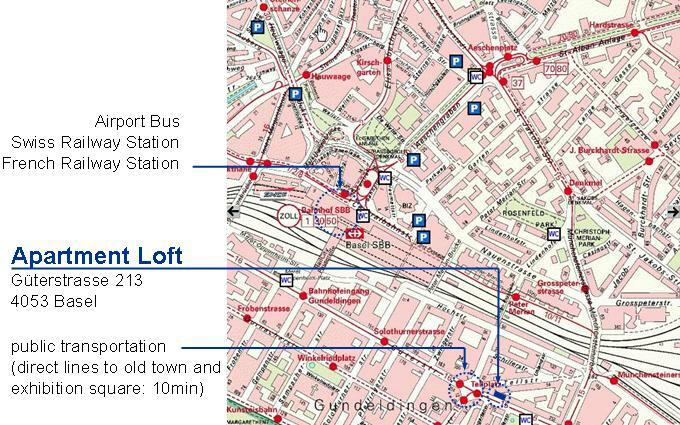 The apartment loft is situated right next to the Swiss and French railway station as well as to the bus to the EuroAirport Basel-Mulhouse. Public transportation stops are in front of the building. The area has a residential character and offers a whole variety of restaurants (whereof one in the building) and shops with possibilities for late shopping.